Warning: Infectious singing, dancing and audience interaction will occur. If you are not one to have fun, you might not want to book. You ready to take a trip?﻿ Well we﻿ ca﻿n travel to one region of the world or we can visit a few- You choose! So, fasten your imaginary﻿ seat belts because ﻿we are going to travel the world! I will share folk stories from around the world that have been passed down from generation to generation. Jackie Robinson, Pele and Arthur Ashe may have all played different sports but they have one thing in common...they are hero's not just on the playing field but in life. Their story is sure to entertain and inspire! These timeless tales tell the story of how the main character uses their smarts to overcome obstacles and how they use their cunning ways to deceit as well. Much can be learned from our trickster tales. What will the hero bring to the audience? The audience will have a front row seat on the hero's journey as they witness the obstacles the hero encounters and how the hero overcomes those obstacles. Many different stories use the hero's journey motif, from Disney to Lord of the Rings. Through each stage of the hero's journey an adventure awaits! There are stories for any occasion. Whether its a school wide theme or a birthday party theme, there are stories. Stories can enhance any event. You tell me the purpose and theme for your event and I will custom tailor a program just for your needs. 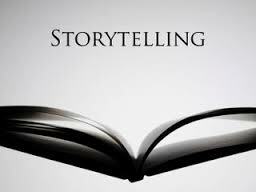 The audience is guided on a storytelling experience where they become the tellers as well as the audience. Using drama techniques the audience works together to create a classroom story. The class learns to work together to incorporate each others ideas as they work towards a common goal----creating a story. ©2015 JD Arts Education Integration LLC. All Rights Reserved.